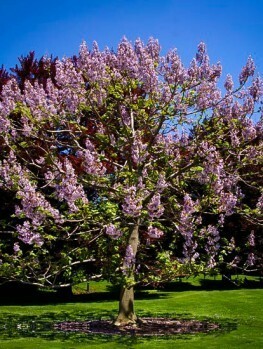 This fast growing flowering shade tree has it all! Gaining as much as 6 feet a year, it doesn’t take long for the Eucalyptus Tree to reach its mature height of 40 feet. Combine this with the aromatic fragrance that is frequently used to scent candles, potpourris, and more! The Eucalyptus Tree is also drought-tolerant, and it adapts well to various soils and sun exposures. 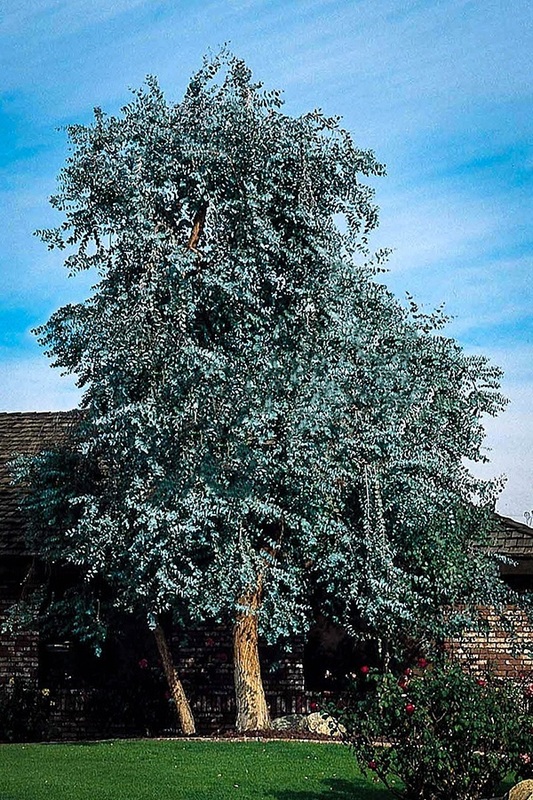 The choice is yours to plant the Eucalyptus Tree as a central focal point in the yard where its 12 foot width will help provide pleasant shade, or plant it along garden borders and yard perimeters since the Eucalyptus Tree is also deters ticks and fleas. The Eucalyptus Tree also is an essential ingredient in many homeopathic health recipes. The Eucalyptus Tree has it all! 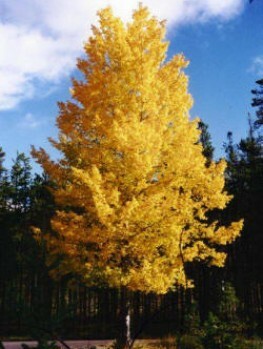 Its fast growth rate makes it ideal for homeowners and landscapers seeking a quick growing tree. 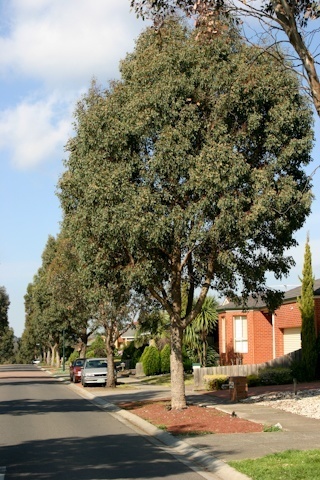 Instead of waiting 30 years for shade and property value increases, the Eucalyptus Tree grows as much as 6 feet a year! The Eucalyptus Tree is an evergreen, so its healthy green foliage is visible even during the dull winter months. Eucalyptus leaves are entirely unique; these small and rounded thick alternating leaves will offer a varied shape to garden greenery. The aromatic qualities of the Eucalyptus Tree are arguably what make it especially enticing. Many growers trim leaves to place in wardrobes or bathrooms, as the fresh, clean scent of the Eucalyptus is quite popular. 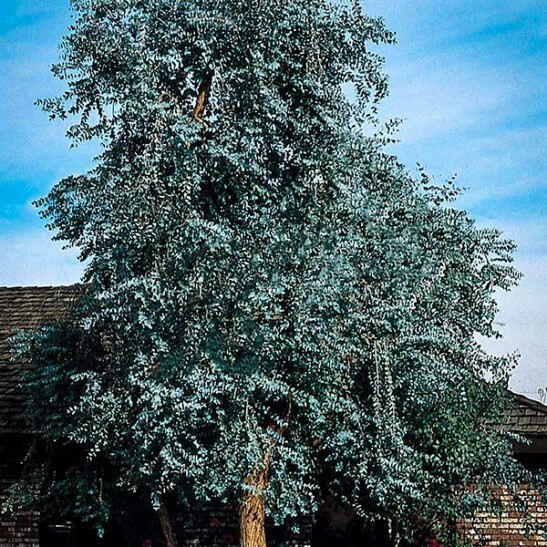 The Eucalyptus Tree is becoming quite popular for these and other traits that make it an ideal investment for gardeners throughout much of the United States. The Eucalyptus Tree’s growth rate will vary based on location, proper planting, and daily care. 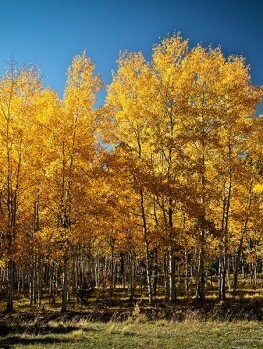 Generally, you can expect to reach between 4 and 6 feet of new growth a season. The Eucalyptus Tree is a complete package. 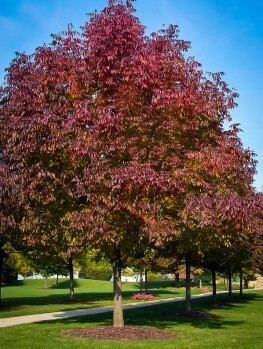 Fast-growing trees have become quite popular across the United States, as homeowners seeking to invest in property search for trees that will quickly provide shade. The Eucalyptus Tree is one of the tallest fast growing shade trees, quickly reaching 40 feet in height and 10-12 feet in width. 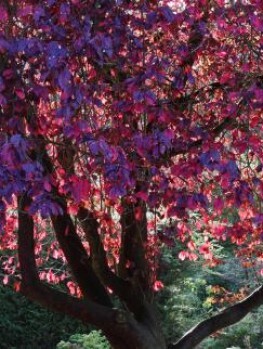 This is of enormous benefit to gardeners hoping to plant a tree and see some semblance of reward for their hard work. The evergreen nature of the Eucalyptus Tree also makes it popular among gardeners. When the forests and trees in the rest of the neighborhood have dropped their leaves, calling for extensive yard work and cleaning, the Eucalyptus will still glimmer with its thick, green leaves – all winter long! Don’t forget the smell! 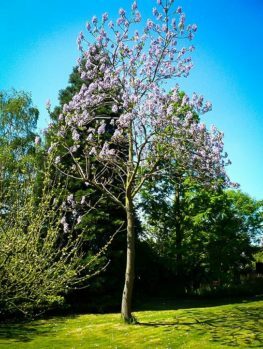 Many gardeners choose to plant the Eucalyptus Tree in areas where Dogwoods are common, as the fantastically fresh smell of the Eucalyptus helps to cover up the malodorous stench of the Dogwood. Whether you choose the Eucalyptus to balance other smells from nature or simply to add to the aromas in your area, you cannot go wrong. The Eucalyptus is often used for its oil, which when added to candles or potpourris provide a pleasing odor! Adaptable trees that are easy to grow can be hard to come by, especially ones that also have fast growth – but the Eucalyptus Tree is just that! Regardless of whether the soil is acidic or alkaline, sandy or loamy, Eucalyptus Trees will typically grow just fine. 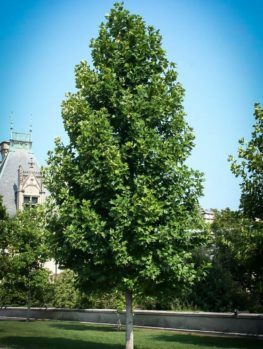 These drought-tolerant trees are also able to withstand mild to moderate droughts, making them ideal for gardeners in USDA Hardiness Zones 8-11. These trees are just as easy to grow indoors, and many gardeners in Zones 4-11 choose to just that – not only does the tree grow well indoors, but it also spreads its pleasing scent throughout the house. The first step in planting the Eucalyptus is to determine the best planting location. Eucalyptus Trees are relatively adaptable, so they can grow well in either full sun or partial shade. Dig a hole twice as wide as the root ball of the Eucalyptus Tree and only just as deep. In fact, the root ball of the tree should extend 1 inch above the hole, which will allow the tree to settle over time. Hold the tree vertically in the hole while backfilling with soil and water. Using mulch can help increase water conservation. The Eucalyptus Tree grows well in acidic, neutral, or alkaline soils. Though it may seem counter-intuitive, Eucalyptuses prefer stony, low-fertility soils to highly organic soils. The Eucalyptus loves water and prefers heavy watering, yet it is also drought resistant. Most members of the gardening community do not suggest using fertilizer with the Eucalyptus, which can be easily overly-fertilized. 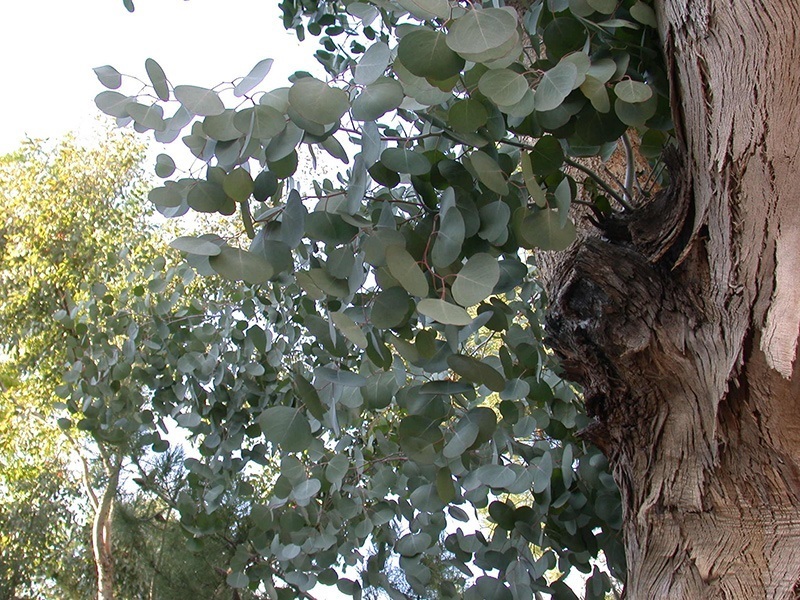 The Eucalyptus prefers moderate to heavy watering, and the use of an irrigation system can be beneficial; however, the tree is also drought resistant and will survive mild to moderate droughts with ease. Be forewarned! Though they may look like it from afar, not all Eucalyptus Trees are the same. Many cheap nurseries will replace the Eucalyptus with a poorer variety in order to cut costs. Sometimes, these trees will be bare-rooted and use branch cuttings. 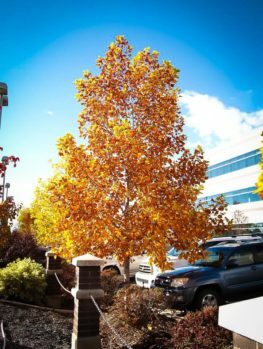 These cost-cutting attempts will put both the tree and you, the buyer, at risk. Buying your Eucalyptus from The Tree Center is the best way to ensure successful growth for the tree in later stages of growth. Pair the superb training and care the Eucalyptus saplings receive here with the proper planting and care you provide, and the Eucalyptus Tree will deliver the fast-growing flowering shade for which you’ve been searching. But act fast! The Tree Center’s stock is always changing, and the Eucalyptus Tree is a fast-seller. Call or order your Eucalyptus Tree from The Tree Center today!